Munir Khoury with rabbits, Jibrail. From accession #13-0901. This is the first installment of a series on rural agricultural work in Lebanon. Read the second installment, Jibrail 1958-1967: Revolution, CROP, and Small Animal Husbandry. "We never meant to destroy your house," insurgents told Munir Khoury when hostilities subsided in Jibrail, in Lebanon's Akkar region, in 1958. "It was the American's house we were aiming at." The Khoury family were closely associated with the American missionaries Neale and Edith Alter, who founded the Jibrail Rural Fellowship Center (JRFC). From its experimental education efforts in 1943 until the dissolution of the property in 1967, Presbyterian mission work at Jibrail treated rural economic development as evangelism, pivoted to counter the threat of communism, and survived violence. It would begin and thrive with the cultivation of olives, and founder on poultry and dairy. Neale and Edith Alter arrived in Hama, Syria in 1923. The couple was appointed to the Presbyterian Church in the U.S.A. Syria-Lebanon mission, their task to evangelize Muslim city dwellers. Having grown up on a farm in western Pennsylvania, Neale was shaped by the State College agricultural extension program, and dedicated to connecting rural people to urban centers. He was awake to urban contempt for rural people, writing that city-dwellers saw them either as "slaves" or "hay-seeds." Neale Alter treated the global rural-urban divide in frankly apocalyptic terms. In a 1947 annual report from Jibrail, he writes of rural wastage and cities burdened with migrants, "If we are to avoid the present chaos with the great gulf between rural and city people, and the worldwide rush of rural people towards urban centers, we must take positive steps in the not too distant future to develop a rural-urban civilization." Jibrail, for the Alters, was part of the church's ministry of reconciliation, particularly important work in the multiethnic and multisectarian Akkar. Sunni, Metwali, Alawi, Protestant, Greek Orthodox, and Maronite "must learn to live together in peace and harmony," Neale wrote, "if there is to be any peace, or ultimately any world peace." The Alters make a cameo in South of the Clouds (1950), a Board of Foreign Missions promotional film about the Beirut College for Women. The solution for the Alters was rural education and development; only sustainable, profitable, and clean village life could stem the flow of rural people to urban centers, or liberate the village from dependence on the town. Just as the couple had procured a "mobile unit" for outreach into Hama and Deir ez-Zor, America's entry into the Second World War forced them to leave Syria. After two years at Forman Christian College in Lahore, Pakistan, the couple returned to Akkar and organized the Village Home Economics School (VHES) for the girls of Jibrail, a mountain village by the Aarqa river. 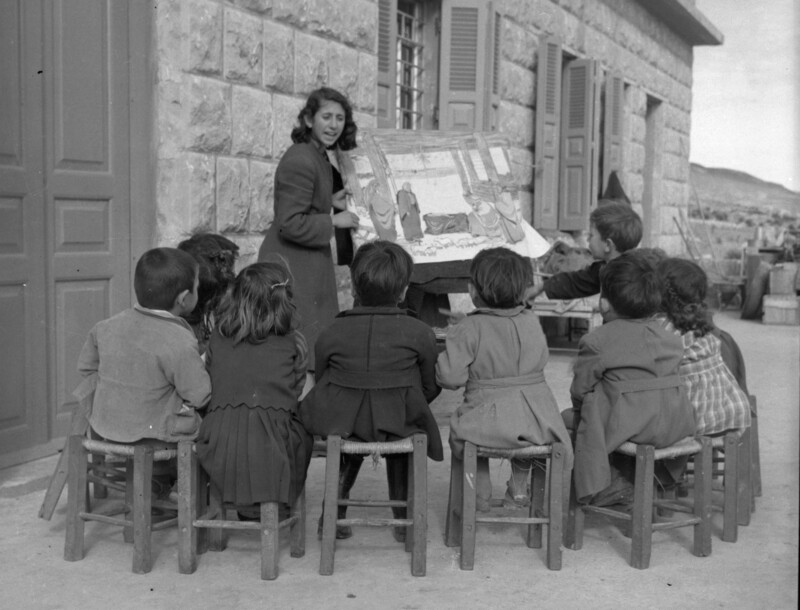 Their plan, beginning in 1944, called for a series of home economics schools, in Jibrail, Hermel, and Halba. 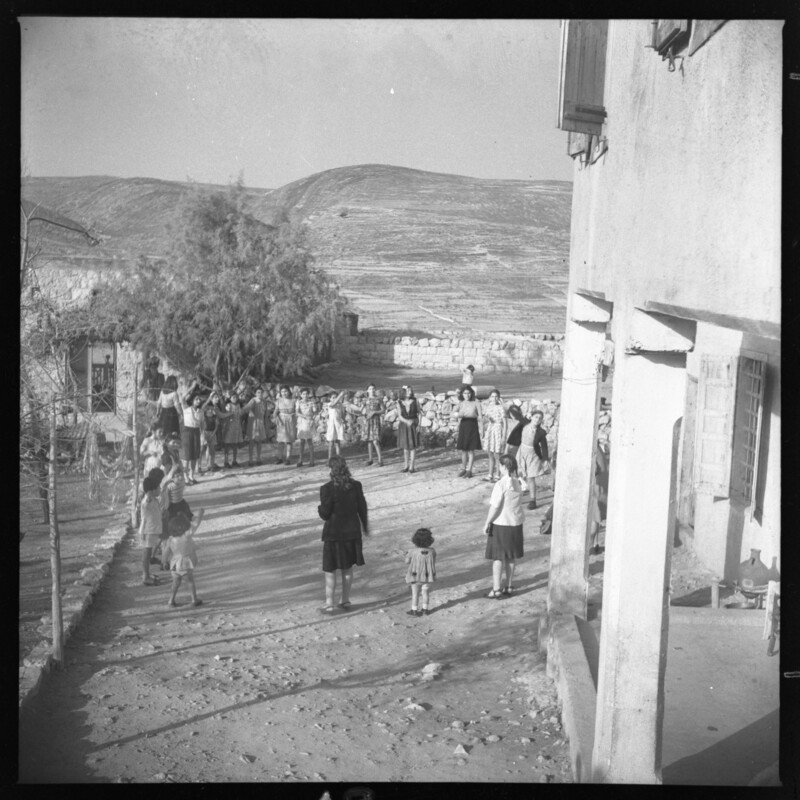 The first building in Jibrail went up in 1945; local teenage girls would be trained in "cooking, sewing, home-making and child care, which they would not get should they attend city institutions." Girls would board at the school in turns, one week on, one week off, and be in charge of kindergarteners, making their lunch, clothing them, and bathing them. Two girls would wash four children, Edith would write. "This assures a good washing at least every fourth day for each child and provides good practice for the girls." Health and hygiene was of chief importance in the girls' coursework, number 2 in VHES' 10-point program ("Health -- how to be attractive, how to keep well and what to do when someone is sick.") The school's coursework required economically viable cottage industries, market accessibility in cities, and "suitable young men to marry" the newly well-educated girls. To that end, the Alters' next step was a boys' school. Teaching outdoors, Jibrail. 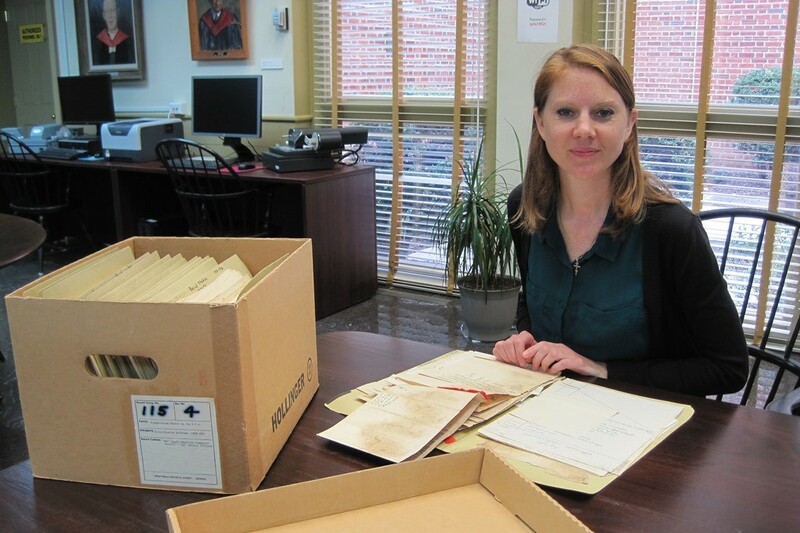 From accession #13-0901. Initially, boys were assigned book-learning: agricultural science, math, Arabic, and civics. Though many of the students had spent five years in nearby public schools, in Neale Alter's estimation, "they did not have a good knowledge of their own language because they wasted so much time on French." The boys were, compared to the girls, "spoiled and pampered," wanting to drink and smoke during class, frequently tussling, disinterested in geography. But their ears perked up when Alter described life in the Union of Soviet Socialist Republics: "They wanted to know the meaning of the word 'Communist' since there were promoters of this group who had come from the cities & organized some of the village people into groups or societies." 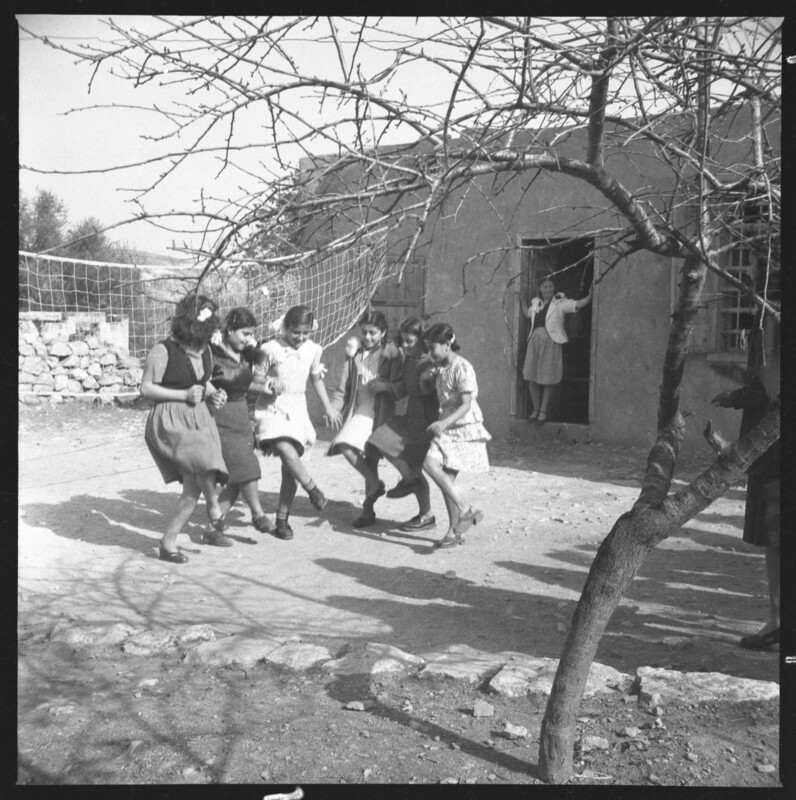 With construction permits in place, foundations were laid for a new girls' building in 1949; education permits from Beirut came in 1950. The next two years would bring struggles -- in Neale's mind, related struggles -- over water and communism. Representatives of the U.S. government's Point Four program had made contact with the American mission in Syria and Lebanon, and with the National Evangelical Synod of Syria and Lebanon (NESSL), to identify potential recipients of its development aid. Neale Alter enthusiastically advocated for the Synod's use of Point Four funds: "It is a positive constructive Christian approach to the present world crisis, especially as a countermeasure to the destructive international policies and activities of Russian communism." Between 1947 and 1951, Alter was radicalized. In his 1951 report to the Syria-Lebanon mission, he repeatedly frames the struggles at Jibrail in geostrategic terms, identifying the USSR as the common enemy of the United States and Christendom: "All Christians should unite at once before it is too late." He quotes a letter from fellow missionary Frances Mecca Gray at length: "When Chief Justice Douglas said recently over the air, 'It is difficult for the average American to understand that the best way to contain Communism is to do something for the people of a village in a country they can hardly locate on the map,' my thoughts leapt immediately to Jibrail." 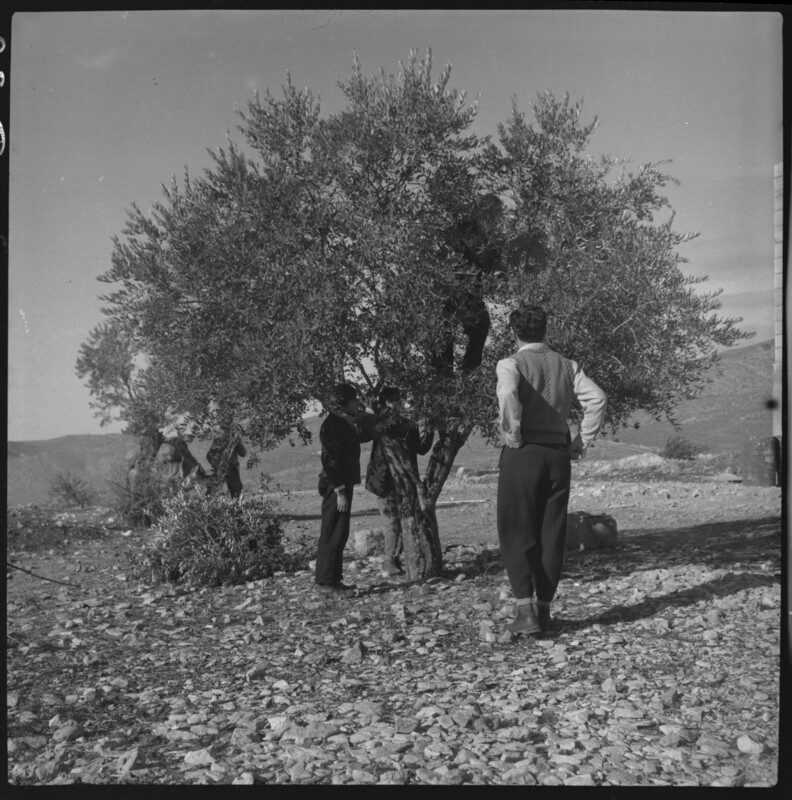 Neale Alter in an olive tree. Point Four operatives, in Alter's estimation, were eager to fund JRFC's agricultural extension work to the tune of $10,000 per year. The Synod endorsed the plan, the Chamoun government being a major recipient of American aid, but it was quashed by the Board of Foreign Missions in New York. Political considerations moved the Board, following the advice that Lebanese intellectual and close associate of the Mission Charles Malik had given to the Synod: "The unique position of the U.S. as one able to help the other nations of the world leads to a hatred." This resentment was expressed in the press: Syria-Lebanon mission records here include a passage from the Damascus newspaper Ash Shoury (Counsel) interviewing patients of a mission hospital in Deir ez-Zor: "What do you want me to say about a hospital founded on preaching and spying, not on medicine? These doctors who came to this country did not come for the love of medicine but for preaching." Children in the courtyard, Jibrail. As part of a global movement to transfer foreign missions to national churches the Board of Foreign Missions devolved responsibility to NESSL in 1951. This vexed Neale Alter, who thought that placing mission work under the Synod would "completely destroy our approach to non-Christians." Moreover, the Synod would not use JRFC, as Alter preferred, as an "answer to Communist propaganda. Many of the Protestant young people have some Communist tendencies [...] In the event of a Communist government coming to power in Lebanon, such an institution would be marked for liquidation." The struggle against communism extended to Jibrail's efforts to secure water for their orchards and their planned dairy and poultry operations. On furlough in 1952, the Alters left Munir Khoury in charge of the JRFC, and tasked him with gaining a new irrigation supply. (A graduate of Tripoli Bible School, and scion of the family which sold the mission its first three plots of land in Jibrail, Khoury ran the boys' programs, teaching rural sociology and olive culture.) In a 6 March 1952 letter to mission secretary Jim Willoughby, Neale Alter blames the slow permitting process for a new water pipe to the Jibrail compound on "local communistic aggitors [sic]." The lines to the compound were cut several times by local people; in May Munir paid off the saboteurs with 1,400 Lebanese piastres. In June, Neale Alter again writes to Willoughby, believing the local government to be under communist influence: "They seem to have broken the whole water cistern at government direction." Other missionaries indicate to Alter and Willoughby that the pitched battles over water are part of a family quarrel -- other families were jealous of improvements to the Khourys' compound -- but Alter counters: "I after careful prolonged study & observation feel that it is part of a much bigger issue -- whether we or Russian controlled communism are to be victorious in the [Middle East]." Whatever Alter's theories, permitting was at issue -- the new pipe drew from a nearby spring rather than "various newly tapped seepages," and JRFC would contend with local government and landowners for secure water access for the rest of its tenure. In November, water saboteurs shot a villager trying to keep them from again breaking the pipe. The Board of Foreign Missions covered damages for the man from emergency funds. During their 1952 furlough, Neale and Edith raised funds for Jibrail. In June Neale traveled to New York and met with Nelson Rockefeller, who expressed interest in using his American International Association to support the school. Neale also held productive conversations with representatives of the Ford Foundation despite his professed hostility to "the Roman Catholic hand directing the institution." 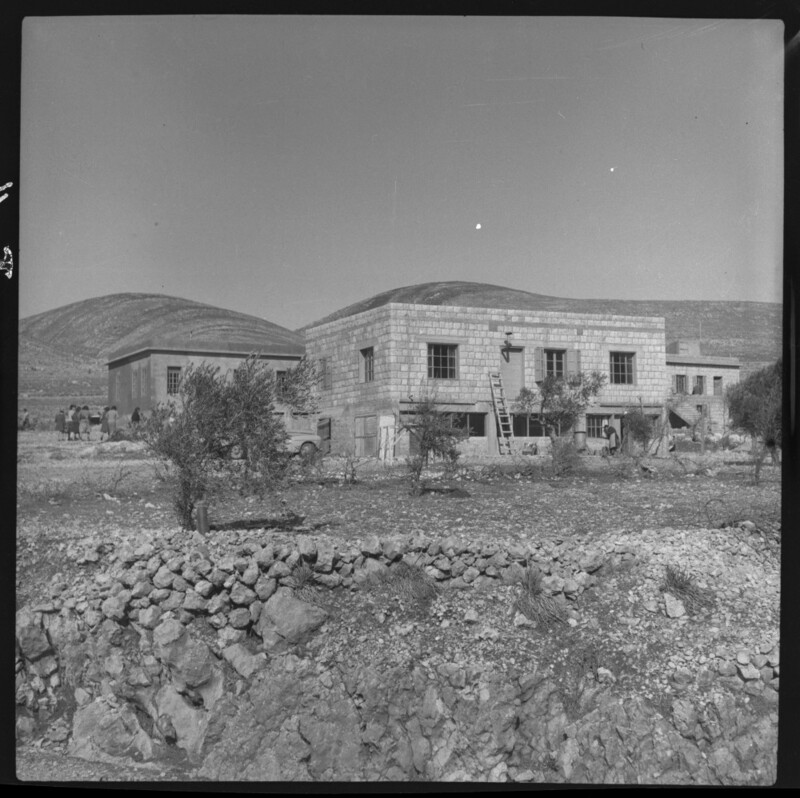 By 1954, these efforts would bloom into a Rural Institute, a series of development seminars sponsored by the Near East Council of Churches and Agricultural Missions, Inc. By 1957, Jibrail was secure enough that Neale prepared a five-year plan that included additional buildings; a staff of fourteen people; basic, rather than vocational education; health and hygiene efforts; and local leadership training. Tensions among Lebanon's Muslims and Christians had intensified since 1956, when Camille Chamoun refused to support Gamel Abdel Nasser's Egypt against British and French intervention in the Suez. In response, the Egyptian and Syrian governments formed the United Arab Republic, and Lebanese Muslims agitated for their nation to join as well. Outbreaks of violence in predominantly Muslim rural areas prompted Chamoun to ask Dwight Eisenhower, himself a Presbyterian, for military assistance. U.S. Marines arrived July 16, 1958. Backed by 40,000 sailors, they took the sea and air ports of Beirut. The Jibrail compound. From RG 115, box 10, folder 2. "We do not know what the future will be [...] The complications of international politics and the inevitable misunderstandings of our motives play a part in the story of destruction, but if the Jibrail Rural Fellowship Center had an answer for the desperate needs of a spiritually and physically under-developed rural society, it would certainly be a target of attack by forces bent on creating chaos and insecurity." Lebanese and American Presbyterians would spend much of the next decade attempting to restore or rehabilitate Jibrail, a story to be continued in part two of this blog series. Sources: RG 115, box 10, folders 2-3; RG 492, box 23, folder 20; RG 492, box 38, folders 6-8; RG 492, box 46, folder 21, folder 29.